Ludowici’s history as the leader in architectural terra cotta products in the United States since 1888 makes us a trusted partner in home renovation and historic renovation projects. 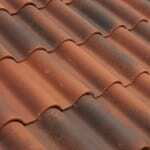 Our unique Renovatoin QuickShip program allows you to order small quanitities of frequently used historic tiles in common historic clay roof tile colors for repairing your roof. With no minimum quantities and a 10-14 day lead time, the Renovation QuickShip program eliminates the need for a contractor or homeowner to struggle with mismatched ‘salvaged’ parts of questionable quality. Orders over 100 pieces will need to work through a Ludowici Sales Representative. Available products and colors listed below. 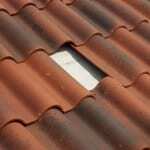 Please contact us directly for assistance with ordering replacement tiles for your project. 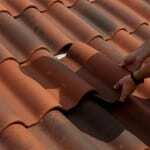 The quick, efficient and concealed method to replace a broken or damaged tile. 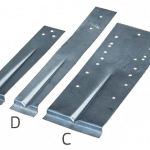 Available in three sizes to work with any Ludowici roof tile these brackets offer an easy and concealed way to replace tiles with no exposed straps or fasteners. Contact Ludowici to order the correct bracket for your tile. Remove broken pieces of tile and using a slate ripper remove existing nail or screw fastener. 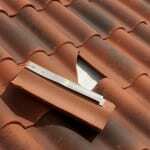 Align a Quik-Tach™ bracket on the back of the replacement tile so the bottom step edge is at the correct head lap. Wire bracket to the replacement tile with copper wire. Lift the tile in the course above and slide the replacement tile into place so the bracket engages the top of the tile below the replacement. JOB COMPLETE! No exposed straps or fasteners. Ludowici Roof Tile’s Renovation QuickShip program provides immediate access to several of the most commonly requested profiles and colors.